Lizzy is a Dark Fusion performer, teacher and choreographer located in the San Francisco Bay Area. Known for her theatricality and a mischievous sense of humor, Lizzy is a unique performer with an intense, dramatic style. Her consummate musicality is the result of her training as a classical musician, and her grace and poise can be attributed to her background in ballet. Lizzy draws on her intense passion for dance and her love of dark music to create diverse performances that always entertain. As a teacher, Lizzy helps her students to develop, and continually improve on, the fundamental skills necessary for every type of belly dance style, while emphasizing theatricality and individual expression. For more information check out the Classes page. 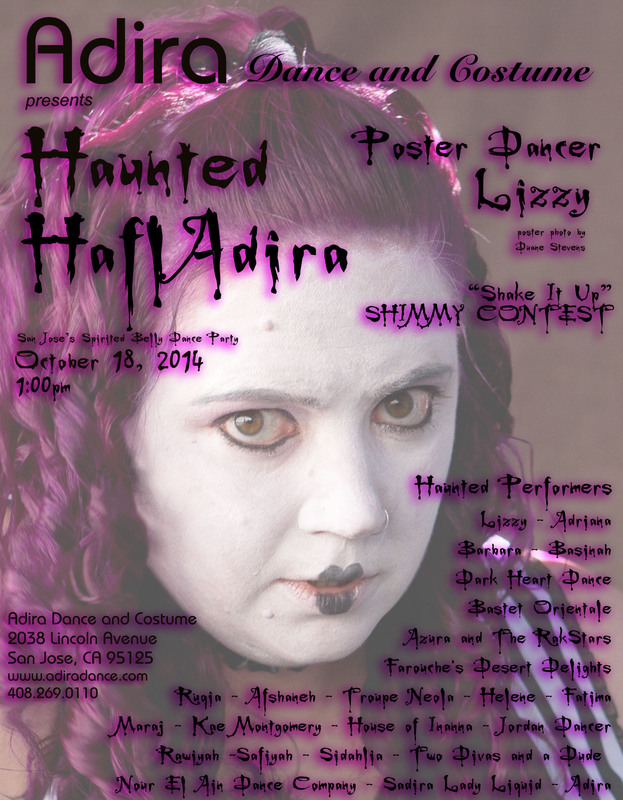 In addition to teaching and performing as a soloist, Lizzy is a founding member of Dark Heart Dance. She is the creative director and choreographer for the troupe.